Check out our video on how to make S'mores Ice Cream Cake! 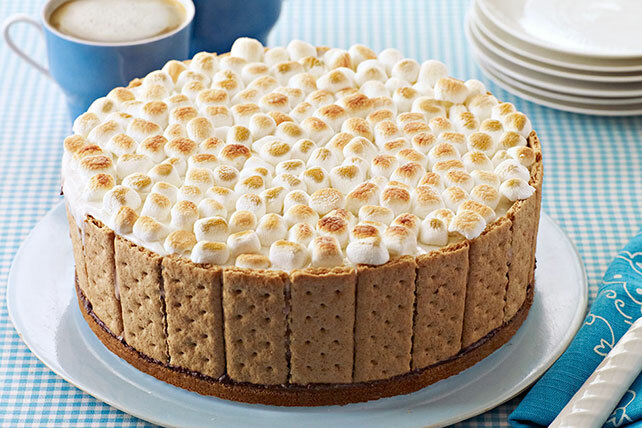 The ice cream inside our S'mores Ice Cream Cake stays frozen as the topping toasts golden brown. Celebrate your next special occasion with this delicious ice cream cake that features flavors of the campfire classic. And as a bonus, it makes enough to serve a crowd. Prepare using vanilla ice cream.